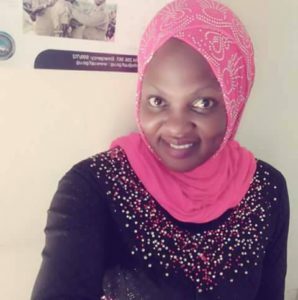 Mariam Kirumira, the wife of detained police officer Muhammad Kirumira was this morning attacked as she headed to Nsambya Railway Police where her husband was sent on remand by a police kangaroo court. “Fortunately the boda guy managed to risk his life in order to save mine. Though I didn’t get your contact but u did a great job, thanks,” Ms Kirumira’s post reads in part. According to the former DPC’s wife, when she got to Nsambya police, she was told that her husband had been transferred to Nalufenya in Jinja. She called upon the public to pray for her and her husband. “I request Afande Kaihura to tell your boys to leave us alone. … we are fearing for our lives as if that was not enough u attack a heavily pregnant woman who is so helpless trying to make ends meet. Meanwhile, in a surprise move the Inspector General of Police, Kale Kayihura, last evening appointed ASP Edgar Akankwasa to take over the command of Buyende District police where the embattled Kirumira has been District Police Commander. According to police spokesman, Emilian Kayima, Akankwasa’s appointment takes immediate effect. “The other issues will be explained as and when the time comes. We want to ask the members of public not to appear so sympathetic to an officer [Kirumira] who is not complying with the code of conduct of the police,” Kayima said in a press statement yesterday.